World Stroke Day, established by the World Stroke Organization in 2006, is observed worldwide on October 29 to underscore the serious nature and high rates of stroke, raise awareness of the prevention and treatment of the condition, and ensure better care and support for survivors. Stroke has emerged as one of the most significant quality, risk and safety issues of the 21st century. 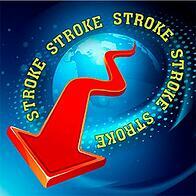 Each year about 795,000 people experience a new or recurrent stroke in the United States. About 610,000 are first strokes; approximately 185,000 are recurrent attacks. Stroke is the leading cause of serious long-term disability in the United States, with over one million survivors reporting a disability. Stroke is the #4 cause of adult deaths, with a stroke-related death occurring every 4 minutes. In 2010 there were 671,000 emergency department visits with the diagnosis of stroke. The possible stroke/TIA presentation should be considered a “seconds-to-minutes” emergency. The emergency or hyperacute phase of stroke care encompasses the first 24 hours after onset of stroke. 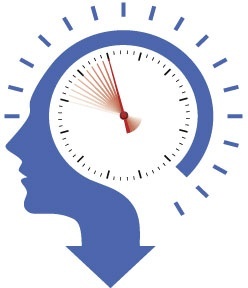 Recent advances in technology have demonstrated that the ischemic brain ages 3.6 years each hour without treatment, confirming that “time is brain.” The overall goal of early stroke management is to minimize acute brain injury and maximize recovery. The American Heart Association and American Stroke Association have developed a community-oriented Stroke Chain of Survival, which is similar to the Chain of Survival for victims of sudden cardiac arrest. The emergency phase of acute ischemic stroke care requires an accurate, timely, coordinated and systematic evaluation of the patient. The focus is on identifying stroke signs and symptoms, infarct type and location, determining treatment options, and assessing for risk of acute and long-term complications. A code stroke team approach optimizes care of the stroke patient. Dry runs involving all stroke team members in mock code strokes test the system’s activation, protocols, staff knowledge, and coordination of ancillary departments. 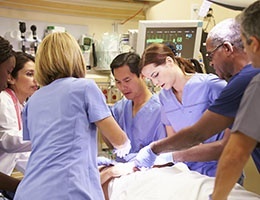 In a 2015 clinical policy entitled Intravenous tPA for Acute Ischemic Stroke, the American College of Emergency Physicians stated that “the use of IV tPA for stroke has been one of the most contentious medical treatments.” Despite this acknowledgement, hospitals and acute care providers must be ready, willing and able to either participate in early stroke management with a thrombolytic agent or endovascular treatment, or they must have a plan to transfer the patient to a stroke center where these treatments are available. 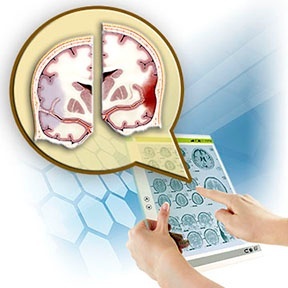 Stroke-related litigation continues as a major medical-legal issue in 2015. One study of stroke-related litigation showed that 88% of stroke-related malpractice suits involved the failure to treat with tPA, with the remaining 12% of cases involving complications from tPA use, including intracerebral hemorrhage. Allegations of delay in management relate to the door-to-physician time, time to diagnostic CT scanning, time to see the primary physician and consultant, time to manage abnormal blood pressure, and time to initiation of thrombolytic therapy. The reasons for any delays in management should be well documented in the medical record. Optimal stroke care integrates regional stroke facilities, emergency medical services, the public, governmental agencies, and resources. This organization of stroke care increases the recognition and treatment of stroke and decreases the associated morbidity and mortality. Know your institution’s policies and resources. Address the thrombolytic issue proactively. 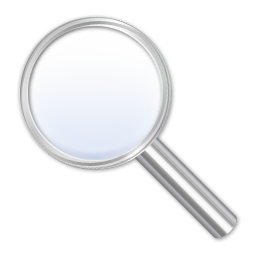 Determine and document “time last known well” (time of symptom onset). Document neurological exam, including stroke scale. Expedite management in stroke/TIA patients. Monitor and document the patient’s condition over time. Prepare for and obtain Primary Stroke Center status. This process is helpful in a number of ways, including organizing public education, relationships with EMS, education for all involved, reduction of throughput to CT scan, and an improved team approach to high-quality care. Initiate a performance improvement process. Evaluate every case at the ED, at stroke task force meetings, or within the hospital peer review structure. Be aware that the individual physician and hospital must establish and work within treatment protocols. Patients will have complications and there will be lawsuits. Your strongest defense is appropriate application of inclusion and exclusion criteria and then strict adherence to protocol. Complications will occur. Go the extra mile to create a medical record that documents compliance with protocol and your high-quality medical care. If your hospital does not or cannot participate in a stroke lytic program, create relationships and transfer protocols that will allow patients to receive evidence-based stroke management. The public and medical profession alike would benefit from knowing more about stroke, including its prevention and treatment. On World Stroke Day, consider how you can make a difference in reducing the devastation of stroke.